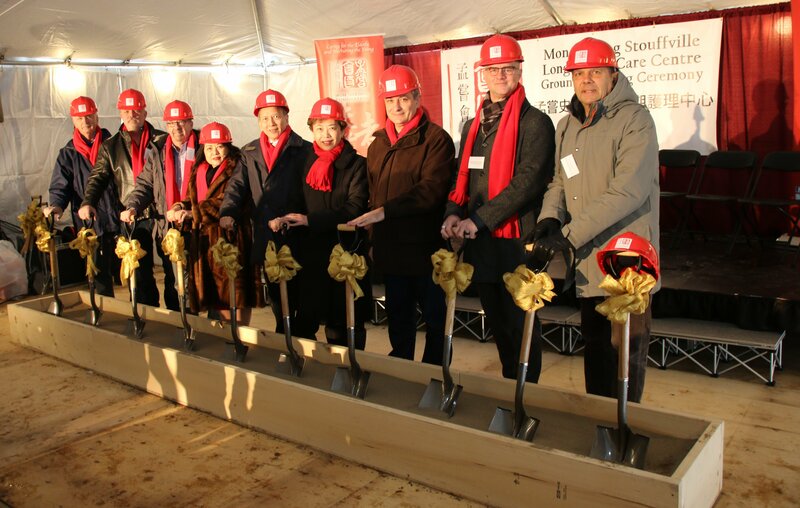 It was a cold and snowy morning when local leaders and an enthusiastic team from the Mon Sheong Foundation gathered to officially break ground on what will be a 6-storey, 320 bed, long-term care facility, the kind that the province says is desperately needed. But while many of the assembled doubted the event would go on as planned given the severity of the weather in previous days, Mon Sheong management left no doubt that they are a team of planners and doers that, in the face of bitter weather, erected a heated tent, complete with stages, lights and TVs showing a glimpse of what was to come to the site on Sandiford Drive just south of Town Hall. The set up was completed with a convenient, elevated trench with shovels ready and waiting for the official ground breaking. 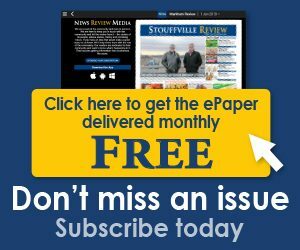 The planning spoke well for the group and hinted at why Mon Sheong was awarded some of the first licenses to build long term spaces last April by the previous provincial government. However, the process has carried on under the Tory government which was represented by area MPP Paul Calandra at the event and has included federal representatives and local officials including Mayor Iain Lovatt and ward councillor Rick Upton, whose ward the new facility is in. Artist rendering of what the new Mon Sheong Stouffville will look like when completed. 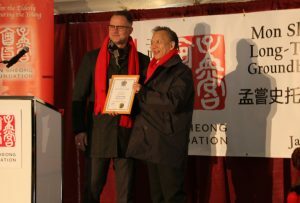 Calandra credited his predecessor, former Liberal MPP Helena Jaczek, for championing this kind of facility and noting that the need for such a facility is recognised across political lines and praised Mon Sheong as a “spectacular partner for the people of Ontario” adding “for those of you who don’t know what Mon Sheong has to offer, let me tell you , you are in for a very exciting time in the town of Whitchurch-Stouffville.” He went on to note that not only will it be a true showplace, but host to many community events and groups as it is in other locations now operating. 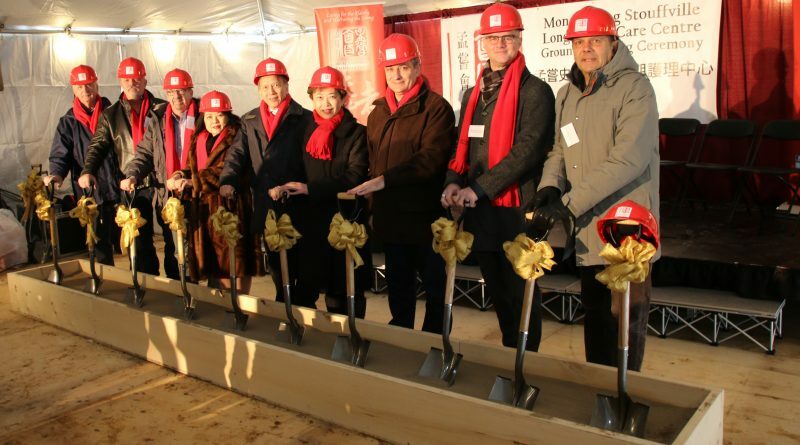 The $80 million project is expected to be completed in just over two years and is the first part of a 10-year development plan that will eventually provide 777 new long-term care beds under the Mon Sheong banner. 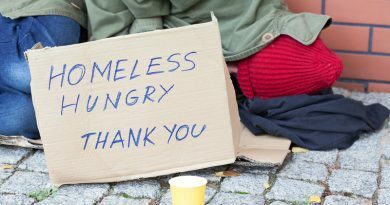 Even then, that will only put a dent in the demand noted Tim Kwan, Chairman of the Mon Sheong Foundation, saying there are already 5000 people on their waiting list. Kwan also made a special note to say that while Mon Sheon’s focus has traditionally been on the underserved, aging Asian population, the facilities being built will also serve the needs of the “main-stream” families that are expected to make up almost half of the residents. He joked that “on top of the pastas, grilled chicken salads and steaks, I think they (non-Chinese residents) would enjoy the additional choice of genuine Chinese food”. Stephanie Wong, CEO of Mon Sheong Foundation also praised council for their work on the project and exclaimed, “we are very excited to become a part of Stouffville community, working with and for the community” she said, adding “we will be creating over 400 jobs for the community” in what she described as an evolving “hub” in town.